sources and authors in traditional biblical criticism. Which raises the intriguing question: how valid is this criteria? How uniform is the style of known authors, especially ancient authors? Do author's styles change? To this last question, we can certainly answer, Yes. 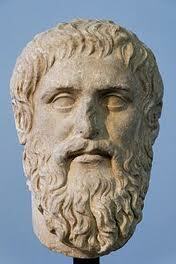 Plato's style changes significantly between, say, the Apology and the Republic or the Laws. Follow-up questions would be: what relevance does this observation have on, say, the different styles evident in portions of the Pentateuch? 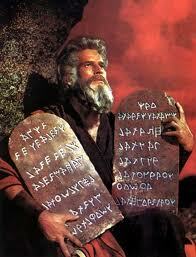 Or, to the analysis of the Epistles of Paul? 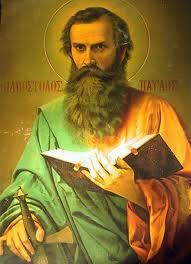 Several of Paul's epistles are dismissed as "deutero-Pauline" because of differences in style. Are these differences more dramatic than the differences between Plato's compositions? Could Paul's style have changed with age and circumstance? "There is no mechanical rule for discovering how best to read a Mosaic Scroll, no interpretive strategy that applies equally well to all of Moses' works. We will best understand Moses' works and profit most from our reading of them if we recognize their great diversity of styles and adapt our reading habits accordingly ..." ? No, that would be too crazy. Excellent post! Just yesterday I was reading the intro to Ephesians in the NRSV NT Study Bible, and it was making the exact same point. The difference is the quote you found and adapted was more interesting and succinct. Very well stated/reworded. It's amusing to think about how many different individuals the critical "scholars" would come up with if they were to look at all the different things I've written on the Internet in just the 11 years since I graduated from college. One thing is for sure. If the bizarre standards they apply to Biblical texts were consistently applied across the board, historical analysis would be practically impossible. "There is some disagreement concerning how best to describe the unifying themes, if there are any, that can be found in Machiavelli's works, especially in the two major political works, The Prince and Discourses. Some commentators have described him as inconsistent, and perhaps as not even putting a high priority in consistency. Others such as Hans Baron have argued that his ideas must have changed dramatically over time. Some have argued that his conclusions are best understood as a product of his times, experiences and education. Others, such as Leo Strauss and Harvey Mansfield, have argued strongly that there is a very strong and deliberate consistency and distinctness, even arguing that this extends to all of Machiavelli's works including his comedies and letters." There is no mechanical rule for discovering how best to read a Mosaic Scroll, no interpretive strategy that applies equally well to all of Moses works. So keep continuing working.